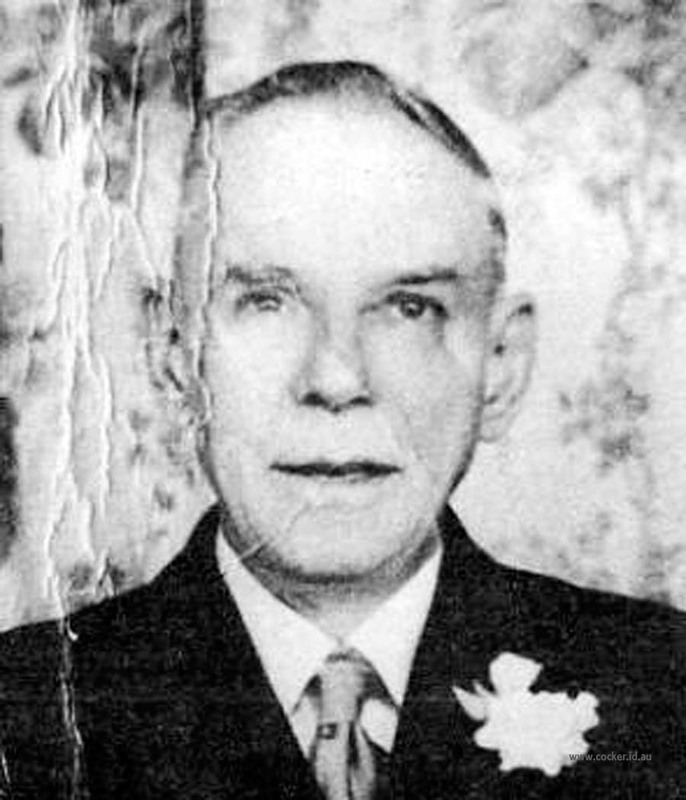 3-Hubert Thomas Claude Appleby was born on 14 Aug 1886 in Mole Creek and died on 11 Apr 1952 at age 65. He served in the Second World War. Hubert married Camilla Houstein on 9 Oct 1907 in St. Davids Cathedral, Hobart. Camilla was born on 16 Aug 1884 and died on 27 Apr 1969 at age 84. At the age of 21 Hubert married Camilla Houstein in St. David's Cathedral, Hobart on the 20th of April, 1907. He was a foreman, fitter and turner at the Risdon Zinc works. He later had a blacksmith shop in Barrack Street, Hobart. He at one time made and erected the two steel gates that were at the entrance of the West Ulverstone show ground. Hubert enlisted in the second World War and was one of the last soldiers to leave Singapore before it fell to the Japanese. He died and was buried at Ulverstone on 11th April, 1952. 4-William Alfred Appleby was born on 22 Jan 1908 and died on 6 Apr 1983 at age 75. William married Corona Heron, daughter of Arthur Eden Heron and Rosina Emily Watson, on 11 Apr 1929 in Registrar Generals Office, Hobart. Corona was born on 3 Aug 1902 in 192 Bathurst Street, Hobart, Tasmania and died on 19 Jan 1982 at age 79. They had two children: Molly Alma and Desmond. 5-Molly Alma Appleby was born on 1 Nov 1925. Molly married David Frederick Barker. David was born on 2 Feb 1921. They had one son: David Barrie. 6-David Barrie Barker was born on 30 Apr 1950. David married Annette Rita Haynes. Annette was born on 4 Sep 1951. They had one daughter: Melissa Annette. 7-Melissa Annette Barker was born on 31 Dec 1976. 5-Desmond Appleby was born on 6 Jun 1927. Desmond married Patricia Lonergan. Patricia was born on 14 Sep 1933. They had one son: Francis William. 6-Francis William O'Rourke was born on 2 Jan 1951. Francis married Pat Schubel. Pat was born on 20 Feb 1952. They had two children: Michael Thomas and Peter Frank. 7-Michael Thomas O'Rourke was born on 27 Jan 1972. 7-Peter Frank O'Rourke was born on 2 Mar 1976. 4-Eunice Nellie Barbara Appleby was born on 14 Jan 1910 in 101 Harrington Street, Hobart, Tasmania. Eunice married Thomas Edward Tolman Self, son of Garnet Wolsley Self and Janet Tolman, on 20 Jun 1929 in Wesley Manse, Hobart, Tasmania. 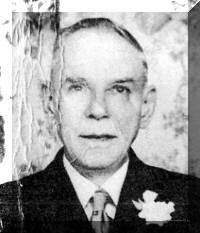 Thomas was born on 29 Jan 1909 in Queen Alexandria Maternity Hospital, Hobart and died on 21 Sep 1984 at age 75. They had six children: Thomas Edward, Judith Camilla, Majorie June, Peter Alexander, Roger John and Garry Hubert. 5-Thomas Edward Self was born on 30 Mar 1930. Thomas married Jill Emma Hornbridge. Jill was born on 27 Mar 1934. They had four children: Thomas Edward Paul, Linda Anne, Anthony John and Andrew Garnett. 6-Thomas Edward Paul Self was born about 1964. 6-Linda Anne Self was born on 26 Sep 1965 and died on 29 Sep 1966 at age 1. 6-Anthony John Self was born on 26 Sep 1965 and died on 29 Sep 1966 at age 1. 6-Andrew Garnett Self was born on 12 May 1971. 5-Judith Camilla Self was born on 23 Nov 1931. Judith married Lloyd John Webster. Lloyd was born about 1930. They had three children: Christopher Paul, Gregory John and Mark Lloyd Thomas. 6-Christopher Paul Webster was born on 20 Dec 1951. Christopher married Jill Leslie Morgan. Jill was born on 13 Feb 1953. They had one son: David Morgan. 7-David Morgan Webster was born on 20 Mar 1981. 6-Gregory John Webster was born on 28 May 1953. Gregory married Margaret Ellen Trail. Margaret was born on 12 Sep 1955. They had one son: Jonathan George. 7-Jonathan George Webster was born on 8 Jul 1982. 6-Mark Lloyd Thomas Webster was born on 29 Oct 1955. Mark married Cristanta Jacqueline Majid. Cristanta was born on 17 Sep 1955. They had two children: Melanie Judith Camilla and Sherrie Seamah. 7-Melanie Judith Camilla Webster was born on 21 Jan 1978. 7-Sherrie Seamah Webster was born on 26 May 1980. Judith next married Geoffrey Edward Christie. Geoffrey was born on 13 Aug 1926. 5-Majorie June Self was born on 29 Apr 1933. Majorie married John Francis Brennan. John was born on 22 May 1923 and died on 4 May 2003.. They had two children: John Christopher and Thomas Martin. 6-John Christopher Brennan was born on 25 Dec 1967. 6-Thomas Martin Brennan was born on 21 Jan 1969. 5-Peter Alexander Self was born on 25 Sep 1935. Peter married Marjorie Francis. Marjorie was born on 23 Jan 1939. They had three children: Karen Marie, Joe-Anne Mary and Allison Peta Jean. 6-Karen Marie Self was born on 28 Mar 1963. 6-Joe-Anne Mary Self was born on 28 Mar 1966. 6-Allison Peta Jean Self was born on 29 Jun 1967. 5-Roger John Self was born on 31 Jul 1945 and died on 17 Jan 2006 at age 60. Another name for Roger was RJ. Roger married Pat Denehey. Pat was born about 1942. They had three children: Graham, Grant and Matthew. 6-Graham Self was born on 26 Jan 1965. 6-Grant Self was born on 23 May 1966 and died before 17 Jan 2006. 6-Matthew Self was born on 18 Nov 1972. Roger next married Anne Spaulding. Anne was born about 1943. 5-Garry Hubert Self was born on 31 Jul 1945. Garry married Anne Mary Fagan. Anne was born on 1 Jul 1945. They had three children: Elizabeth, Brendan and Cloe. 6-Elizabeth Self was born on 26 Dec 1974. 6-Brendan Self was born on 20 Jul 1976. 6-Cloe Self was born on 17 Nov 1979. 4-Raymond Alexander Appleby was born on 2 Nov 1917. Raymond married Leila Acacia Lawless, daughter of Oswald Lawless and Frederica Adams. Leila was born on 5 Feb 1910 in Margate. They had three children: Peter Raymond, Janet and Anthony Paul. 5-Peter Raymond Appleby was born on 26 Mar 1941. Peter married Judith Anne Lahl. Judith was born on 15 Feb 1944. They had three children: Michael Anthony, Andrew John and Gerald Mathew. 6-Michael Anthony Appleby was born on 19 Jun 1964. 6-Andrew John Appleby was born on 13 Feb 1968. 6-Gerald Mathew Appleby was born on 3 Apr 1972. 5-Janet Appleby was born on 24 Nov 1942. Janet married Brian Griggs. Brian was born on 7 Oct 1938. They had four children: Karen Louise, Leanne, John Edward and Leslie Jane. 6-Karen Louise Griggs was born on 21 Jan 1962. 6-Leanne Griggs was born on 27 May 1963. 6-John Edward Griggs was born on 28 Oct 1968. 6-Leslie Jane Griggs was born on 27 Feb 1970. 5-Anthony Paul Appleby was born on 23 Apr 1944. Anthony married Rosemarie Leah Sullivan. Rosemarie was born on 15 Mar 1945, died on 9 Jan 2005 at age 59, and was buried on 12 Jan 2005 in Service At J. A. Dunn, Brisbane Street, Launceston. They had one son: Paul Raymond. 6-Paul Raymond Appleby was born on 27 Aug 1973. Paul married Lisa.